Music has many wonderful benefits for stress management and overall health. It can help you calm your physiology without making a conscious effort, and that can alleviate stress from your mind. Music can also lift your mood, slow your breathing, and create other stress-inducing changes. Meditation is also one of the most popular stress management strategies for good reason—it brings short-term benefits like a calm mind and body, and it can build resilience toward stress over time. 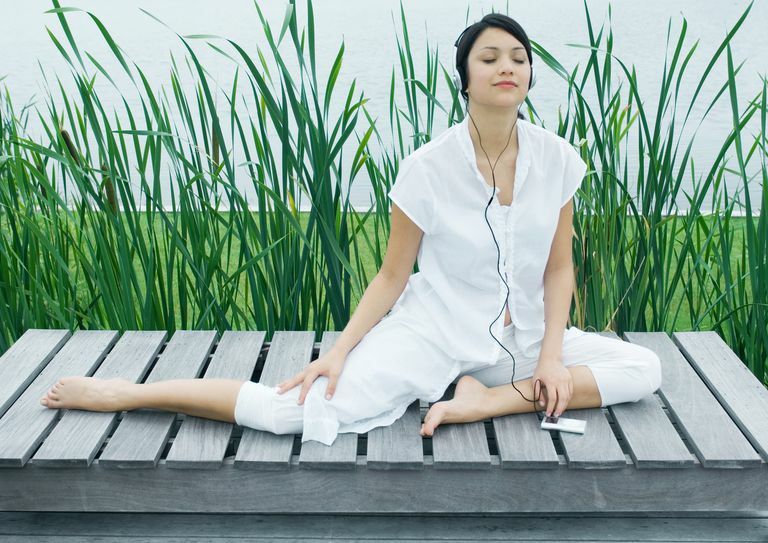 Combining music with meditation can deepen the positive effects of both, and bring you greater stress relief. As an added bonus, for many people who are beginners to meditation, or who are perfectionists, music meditation can feel simpler and less stressful than many other forms of practice. Therefore, it's a stress relief technique that I recommend to just about anyone. With regular practice, this meditation can help you to better manage whatever stress comes. While 20 minutes is a good minimum time frame for meditation, even one song worth of meditation can be helpful in reducing your stress levels and restoring some of your energy, so take the time that your schedule allows. Choose meditation music that can help you relax. This means finding music that you enjoy listening to—if you don’t enjoy classical music, for example, don’t choose it. You should also look for music that has a slower tempo, and preferably without lyrics, which can be distracting and can engage your conscious mind—the part of your mind that we hope to ‘turn off’. Stay focused on the music. If you find yourself thinking about other things (or even thinking thoughts about the music), gently redirect your attention to the present moment, the sound of the music, and the feelings in your body that the music evokes. Try to really feel the music. Continue this practice for several minutes, until your time runs out. As thoughts come into your head, gently let them go and redirect your attention to the sound of the music, the present moment, and the physical sensations you feel. The goal of this practice is to quiet your inner voice and just ‘be’. So just ‘be’ with the music, and fully immerse yourself, and you’ll feel more relaxed fairly quickly. If you find the music brings lots of thoughts, memories and internal dialogue, switch to a different type of music. Instrumental music can come in many forms, including classical, jazz, new age, and more, and it can be less distracting than other types of music. You can time your practice with the number of songs you choose so you don’t have to worry if you are taking more time than you have. If you find yourself ‘thinking too much’, don’t beat yourself up over it; this is natural for those beginning meditation practice. Instead, congratulate yourself on noticing the internal dialogue, and redirecting your attention to the present moment.